PRESTON, England--(BUSINESS WIRE)--Mar 25, 2019--IVG Premium E-Liquids, the UK’s market-leading brand, has announced a strategic partnership with globally renowned Kollaras & Co – A 3 rd generation, family owned and operated business. Kollaras & Co specialises in supporting independent retailers across multiple channels in Australia. 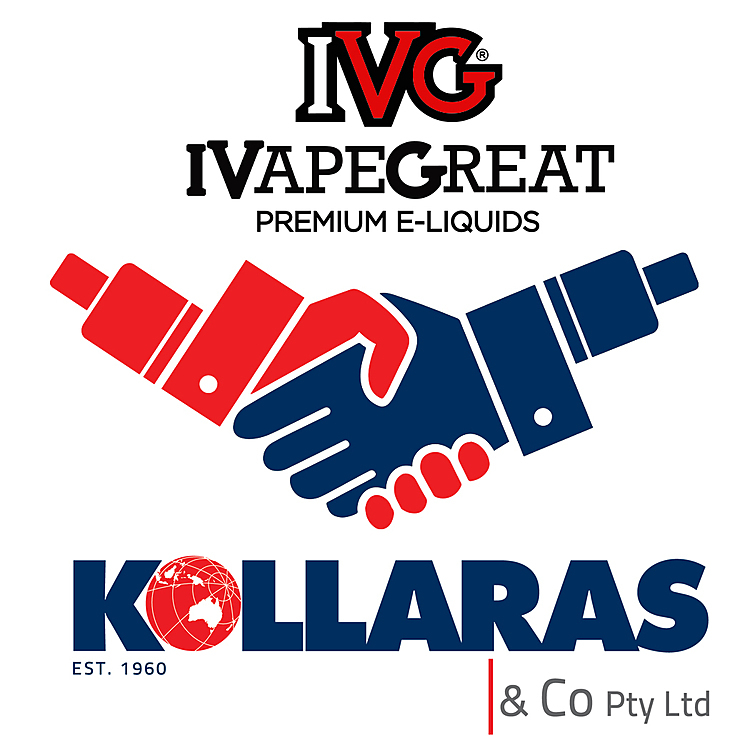 Kollaras & Co have landed the master distribution rights for IVG products within Australia, which will allow vapers from down under to join vapers from over 60 countries and 6 continents that vape premium British flavours from IVG. Kollaras & Co will be distributing 26 delicious e-liquid flavours in 60 ML and 10 ML from IVG Premium E-Liquids’ into the Australia retail market sector by the end of April 2019. 13 International Accolades “Leading E-Liquids Specialist 2019”, Best Sweet Flavour, and more have played a key role in the Australia company taking the products on board, along with the existing reviews of the vape enthusiasts in the Australian market.